Don't make too much noise while exploring these worlds! Adventures, hungry for treasure, will need to sneak to the depths without alerting their foe. Whether you're in a dungeon, under the ocean, or in the far reaches of space, you'll need to be quick and be quiet! One false-step and -- CLANK! 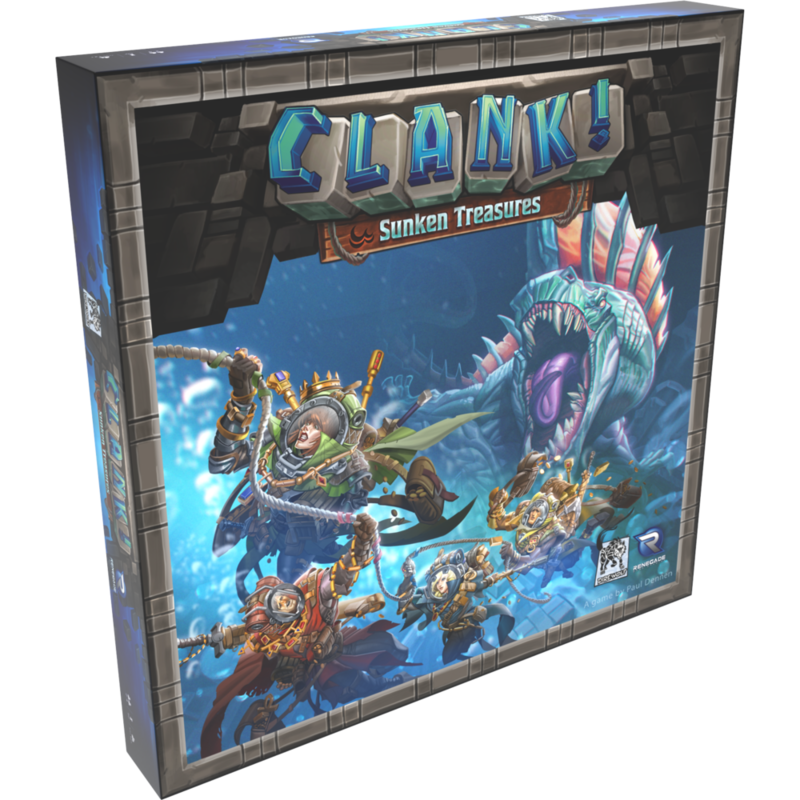 Join the Clank Facebook group here! Sneak into an angry dragon's mountain lair to steal precious artifacts. Delve deeper to find more valuable loot. Acquire cards for your deck and watch your thievish abilities grow. The evil Lord Eradikus has all but conquered the galaxy, and is now on a victory lap across the sector in his flagship, Eradikus Prime. He may rule with an iron grip, but his most prized artifacts are about to slip through his cyborg claws. You and your fellow thieves have challenged each other to sneak aboard his ship, hack your way into its command module, and steal from him. This is an expansion for Clank! A Deck-Building Adventure! Untold riches await you inside the pyramids of the Ancients – but they are well protected. An undying Mummy guardian spreads a vile curse to those who would rob its tomb. And, inevitably, the treasure has attracted a dragon. Can you escape the fearsome Croxobek? If you have an insatiable thirst for plunder, Clank! Expeditions: Gold and Silk is for you: a series of boards to continue your deck-building adventures. The deck-building adventure of Clank! In! Space! continues. Small pockets of resistance continue to oppose Lord Eradikus, but the evil cyborg now plots to wipe them out with one grand and wicked scheme! This is an expansion for Clank! In! Space!